July 31, 1980, James and Lily Potter had a little boy. James Potter's best friend Sirius Black was named godfather of young Harry. July 31, 1965 was when J.K. Rowling was born, and I'm sure nobody ever expected at the time she would write a series of books that would get kids and parents around the country reading together, going to midnight parties to celebrate the release of those books, and just generally breaking all sorts of records and creating history. But she did. 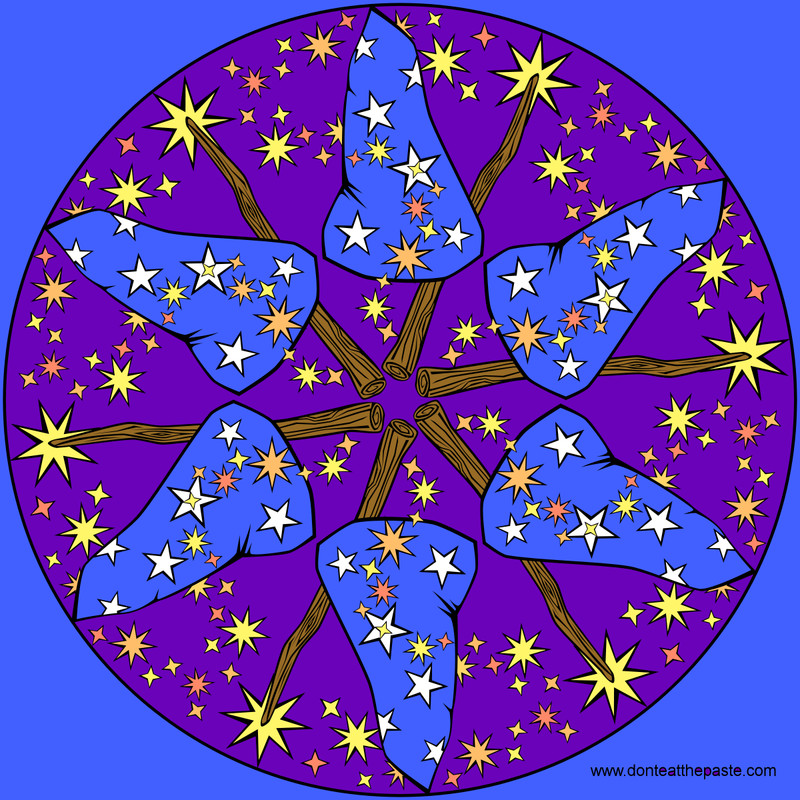 I hope you enjoy this mandala that I drew to celebrate, a wizardly mandala with a wand and hat. 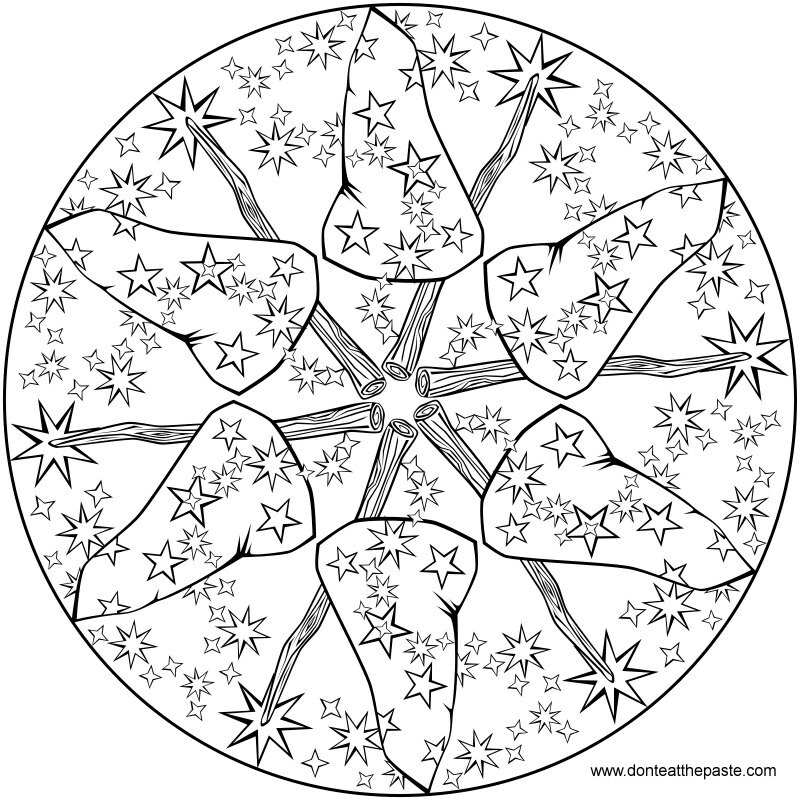 Click the images below for larger mandalas to color.